Cleaner Heat Cashback is a £10 million commercial boiler scrappage scheme, offering a financial incentive to small and medium-sized businesses in London to replace their existing, inefficient boiler with a more efficient system helping to cut bills and reduce environmental impact. The scheme, which is the first of its kind in the UK, will provide between 30 to 40 per cent cashback to SMEs when they replace older, polluting boilers with new, cleaner systems. Support is available on a first come, first served basis. So apply now to avoid disappointment! Is your business eligible for Cleaner Heat Cashback? Installations must be undertaken by a manufacturer approved installer. What costs are covered under the scheme? How much can be claimed back on a new commercial heating system? While the cashback scheme has no set maximum amount per application, those in excess of £70,000 will be more closely assessed. Applications are assessed within 10 working days. On confirmation of a successful application, the customer will receive a cashback voucher detailing the amount that can be claimed back after installation. Applicants will have six months to redeem this voucher; 12 months if installing a heat pump. To claim the cashback after payment and installation of the new system, applicants will need to complete a short online survey and submit final documentation. Cashback will be received within five working days of the claim being verified. 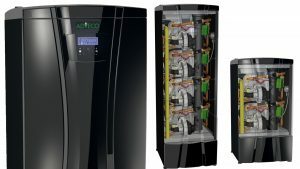 Designed to provide a high capacity and reliable solution to a building’s central heating demand, MD is an eco-friendly range of condensing boilers with an efficient pre-mix burner and low NOX and CO emissions that more than meet the replacement criteria for the London Cleaner Heat Cashback scheme. For further information about the application process and eligibility criteria visit the Cleaner Heat Cashback site or the scheme's FAQs.